2018 3rd International Conference on Green Composite Materials (ICGCM 2018) was held in Curtin University, Sarawak, Malaysia on Jun 28-30. 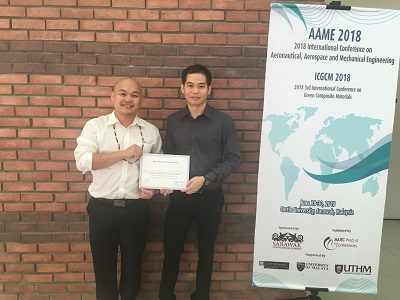 ICGCM 2018 was the workshop of AAME 2018. All accepted and registered papers of ICGCM 2018 have been published in the AAME 2018 conference proceedings as a special chapter, which will submit for EI Compendex, Scopus, Thomson Reuters (WoS), Inspec, et al.